Hawthorn tea for the heart is a well-known folk recipe, which was used as far as we can remember but it is not the only curative recipe offered by this plant. Fabulous hawthorn berries are used to make drops, and it is said that the tincture of hawthorn, which, in addition to heart diseases can be used as a tranquilizer for a nervous tension, to ease the symptoms of menopause, has anti-inflammatory effects and helps in elimination of harmful fats and frees accumulated weight. Read on to learn how to make tea from the hawthorn, tincture etc. hawthorn drops and much more. This bushy plant with attractive red berries has a beneficial effects on the heart, and has many other medicinal properties. On average it grows about 2 m in height, but in the forests it develops up to 8 meters in height. Haws or hawthorn berries are rounded, bushy red fruits. Taste is quite bitter and sour until the first frost, which makes them softer and tastier. Haws contain vitamin C, pro-vitamin A, tartaric and citric acid, sugar and a lot of pectin, which are suitable for jams, marmalades and delicious homemade jam. The leaves near the bush have jagged appearance, while mild pinkish flowers are completely white, have a pungent, powerful and above all a strong odour. The most famous recipe of flowers and leaves is the hawthorn tea for the heart. Red hawthorn plant is flourishing in the 5th and 6th month (May and June), so it is popularly called and the May rose. Hawthorn plant can serve as a natural hedge, because it has a very nice look. The extract obtained from the leaves of the plant help better circulation and strengthens our heart muscle. Because of this it’s medicinal effects are recommended to some younger people whose everyday life is stressful. In addition to the aforementioned benefits to our health that allows us to say that the red hawthorn is one of the plants with the most calming effect. It helps in cases of chronic fatigue, lack of energy, restless and poor sleep, wheezing, dizziness, cardiac palpitations, noise in the ears and nervous tension. Hawthorn tea is a natural diuretic, meaning that it promotes removal of excess water from the body, and is very useful in weight loss, but also in the case of edema, cellulite and joint diseases. Preparations of hawthorn are recommended in the climax, because it eases the symptoms such as palpitations, nervousness and irritability. Due to the decline in estrogen levels, menopausal women are exposed to increased risk of cardiovascular disease, especially when it comes to hypertension and elevated cholesterol, the main causes of heart attacks, and hawthorn berries are the best natural means of preventing these ailments. Hawthorn tincture also has anti-inflammatory properties, due to which it is useful in the cases of inflammatory diseases of the joints, and the hose and ulcerative colitis. It is easily well tolerated and there are no side effects, hawthorn plant cannot be used in combination with drugs against heart disease. In this case it is necessary to consult a doctor or pharmacist. Also, hawthorn preparations are not recommended during pregnancy and lactation. Take from 1 to 1.5 grams of leaf and flower or 0.3 grams of crushed fruit, which are poured with 150 ml of boiling water. Take it off the heat and let it stand for a short period of time. It is drunk three times a day. Hawthorn tea made in this way is an excellent natural remedy for almost all cardiac ailments. If we add that red hawthorn is considered one of the most valuable and most effective herbs for the heart, it strengthens and regulates the work of this organ. In addition it has always been used as a natural remedy for the regulation of blood pressure because it reduces the high and raises low levels of blood pressure. He alone does not cure hypertension, but participates in its normalization. It is good in the treatment of damaged or inflamed heart muscle, has a beneficial effect in the cases of congestion of blood vessels and angina pectoris. It is recommended that all persons older than 50 years from time to time drink a dose of medicinal tincture of hawthorn. Hawthorn tea should particularly be drunk by those who have suffered myocardial or have a heart condition. It is known that this plant can be consumed in some of these preparations for the heart muscle, take it only with the control and consultation with the cardiologist. Fill half of a bigger glass jar with fresh or dried haw and pour 80-percentage alcohol to completely cover the berries. Press them with something so that they remain inundated. Close the glass jar and leave in a cool, dry and dark place primarily four to six weeks. Every few days mix the content and pay attention to your hawthorn berries do not emerge. Hawthorn tincture is then necessary to drain and pour into the appropriate glass bottles. Drink 5 to 10 drops of hawthorn three times a day. Benefits of hawthorn drops are numerous, you will facilitate unpleasant ailments and symptoms of angina pectoris, regulate blood pressure, and help heart muscles to be more powerful, more efficient and better pump blood, regulate a malfunction of the heart, especially with unpredictable arrhythmia. 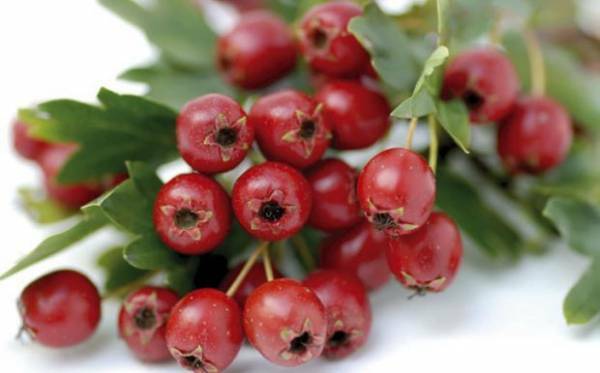 Today in pharmacies red Hawthorn is available in many versions and next to extracts (tinctures), there is also hawthorn tea, as well as various other tea mixtures for the heart and also hawthorn tablets can be used. The basic recommendation is that you do not buy it without prior to consultations with professionals and not to take it lightly. Also please note that it is always better to make a tea from hawthorn at your home, as opposed to the finished (purchased) product. For hawthorn berries it is thought, that they are not harmful to our health, as well as the hawthorn tea for the heart. Of course not, a number of consumers do have some side effects and should certainly stay away from these products. Pregnant women certainly should not use hawthorn tea or either supplements of these plants. If after usage you have redness and skin rash accompanied by irritation, fatigue accompanied by abdominal pain, increased sweating, palpitations, dizziness and malaise, immediately stop using these products and be sure to contact the practitioner - doctor. Once again, for the record, do not use hawthorn tea if you are already taking medications for the heart. Wash a pound of fruits of hawthorn and at the same domestic apples. Peel apples and finely chop and cook the haw in a little water until hawthorn berries soften, and then mash them. Add 5 dl of quality honey the best is domestic one and cook over low heat for about 15 minutes, depending on how thick you want the jelly to be. Warm the jars to 100 degrees and pour the hot marmalade into them. Leave it to cool for 24 hours while stored in a cool, dark place. In addition to the text hawthorn tea for heart we recommend that you read the article how to treat weak heart.